"In Memory And Honor Of Those Who Served ~ Graham County Honor Roll ~ * Following Name Indicates ~ Died In Service ~ Dedicated November 11, 1985". 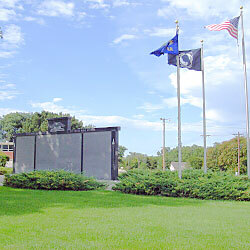 The tablets then list names from the Civil War, Spanish American War, WW I, WW II, Korean War, Vietnam, and later. 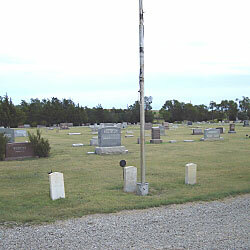 Description: Three headstones are grouped next to the cemetery flagpole to form a dedication area. All three are Civil War veterans but Bronze medallions are placed behind each grave. The medallions are inscribed: "Veteran ~ 61-65", "American Legion", and "WW II".